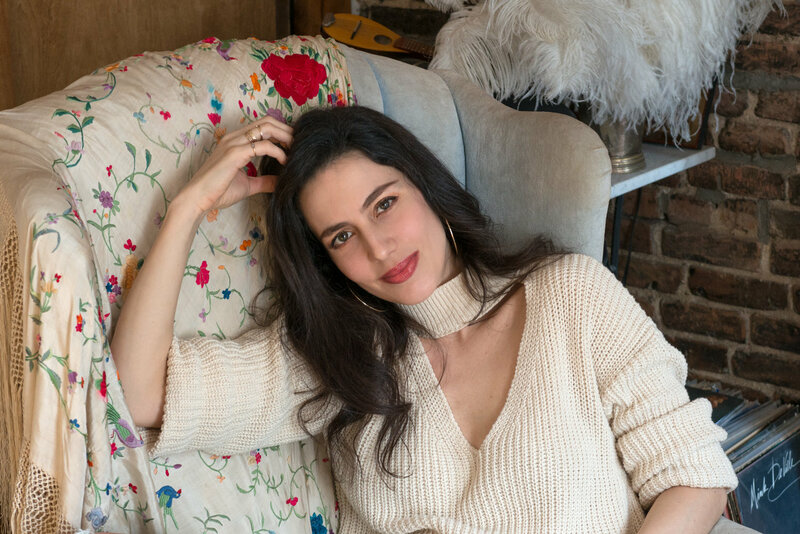 Elli Stefanidi, the model, actress and mother of two, invites us into her home on a Thursday afternoon. As we enter the building we can see a large comfy chair and a darling bicycle just waiting for spring to commence. She is standing in the doorway, waiting, with a large endearing smile, welcoming us into her own personal utopia. Walking in, you could touch and feel the inspiration stemming from a soul that is divided between the Greek family traditions, and the vintage authenticity. One that only comes from being in the midst of brick-wall detailing in the heart of Williamsburg. 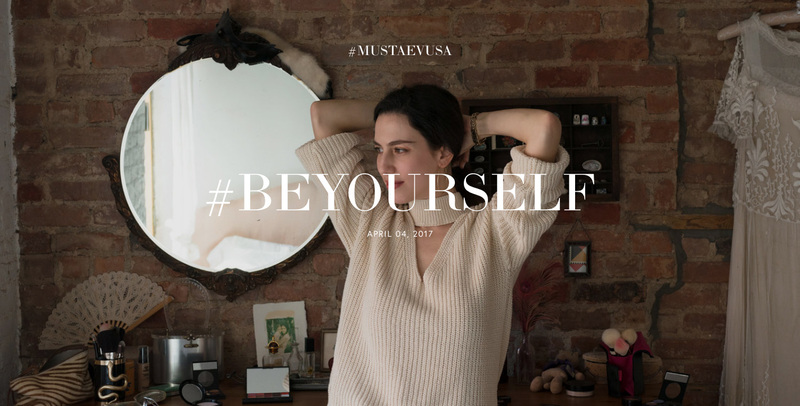 She was the first woman that came to mind with MustaeV’s Be Yourself beauty campaign. 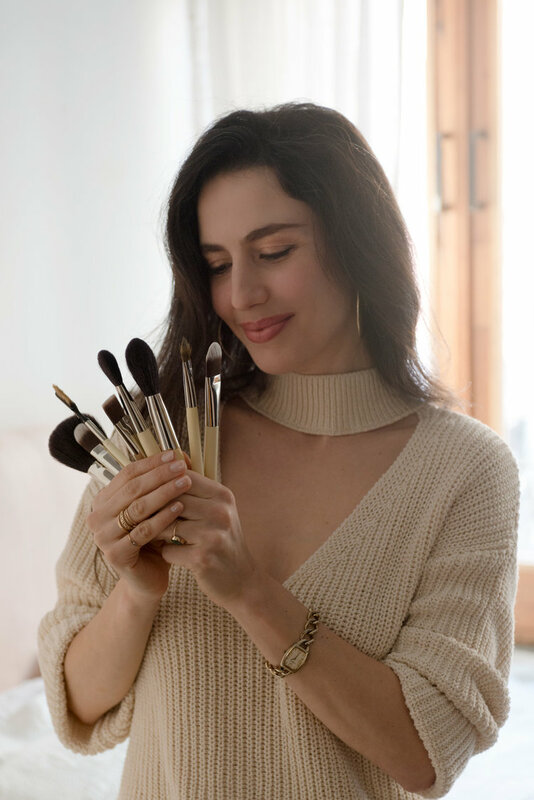 With her charming personality, and genuine appreciation for individualistic style, it was to no astonishment to see that her beauty routine was similar to how she kept her household inspiring and relaxed. Walking into her bedroom one can distinguish the details that uncover a lot about her personality and her beauty ritual. The clothing rack, which would probably break in half if one more vintage dress were hung, in the midst of the carefully planned chaos. 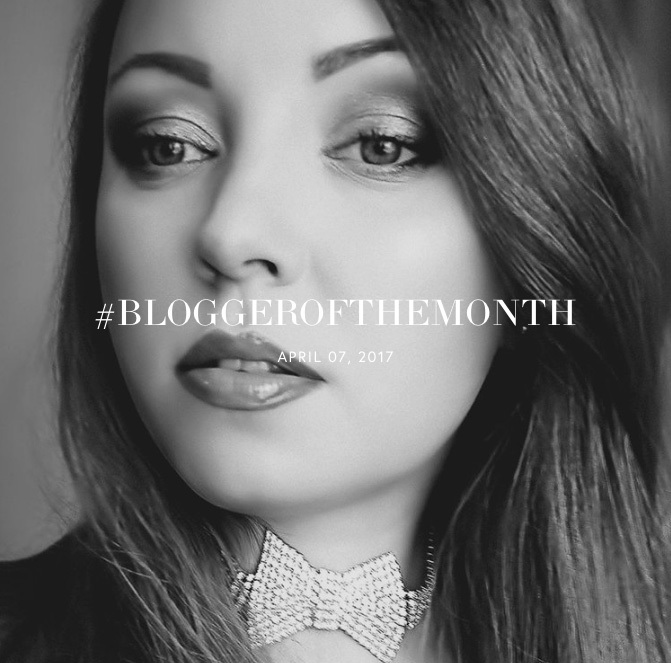 The dresser, which was filled with petite perfume trays, vintage jewelry, old photographs and a selection of her favorite beauty products. The lampshade and bedframe, which she had picked up from a thrift store. It was the perfect renditions for a typical Sunday spent in bed, looking out through the large glass windows, with a good cup of espresso coffee. When we asked, she told us that the idea sounded good in theory, but usually her mornings would be a lot more chaotic. With two young children, she added, they usually climb up and into the bed, all excited and full of energy, ready to start the new day. As we sat down she offered us coffee, and neatly poured it into hand-painted antique espresso cups, all the while, Billie Holiday sang out about a sad, gloomy Sunday. 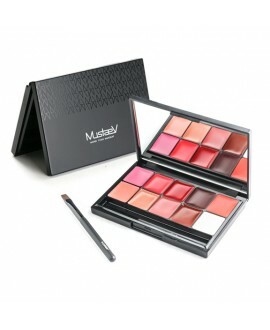 Have you heard of the saying “Makeup is only supposed to take three minutes”? Do you live by this statement? Well, I haven’t heard of it, but I have to say that it seems to apply to my life. I tend to roughly comb through my hair, apply the basics to my face, and spend my time and energy making sure the kids are ready for school. Not really that much extra time for glitz and glam at eight o’clock in the morning. 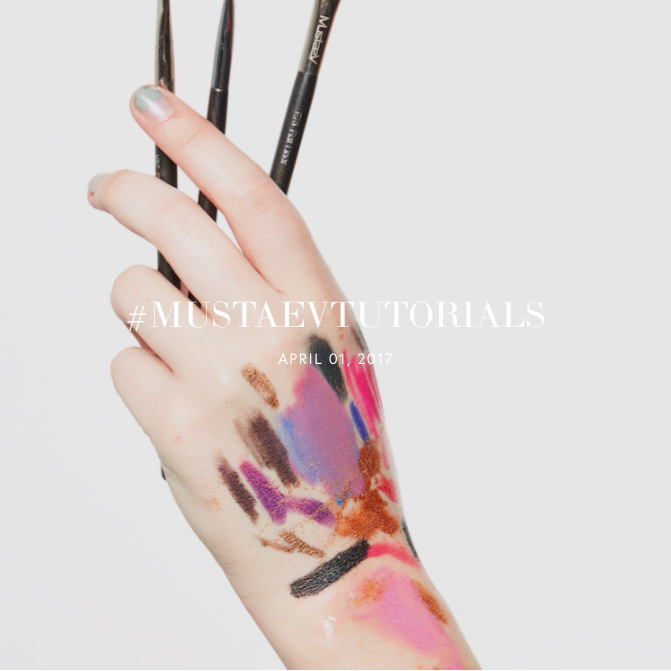 Do you have any beauty tricks? For me, drinking a lot of water works wonders for my skin. It stays fresh, and hydrated throughout the day. Living in New York, however as wonderful it may be, it does affect your skin. The stress, the pollution, and little sleep are all contributing factors to it looking tired, and flattened. Water is probably the cheapest and easiest beauty trick out there. Another one would be less is more. 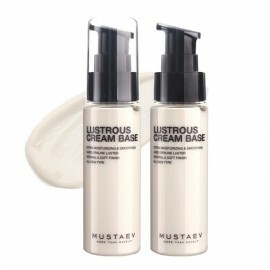 I think MustaeV is a brand that offers product sets that satisfy the "less is more" concept. 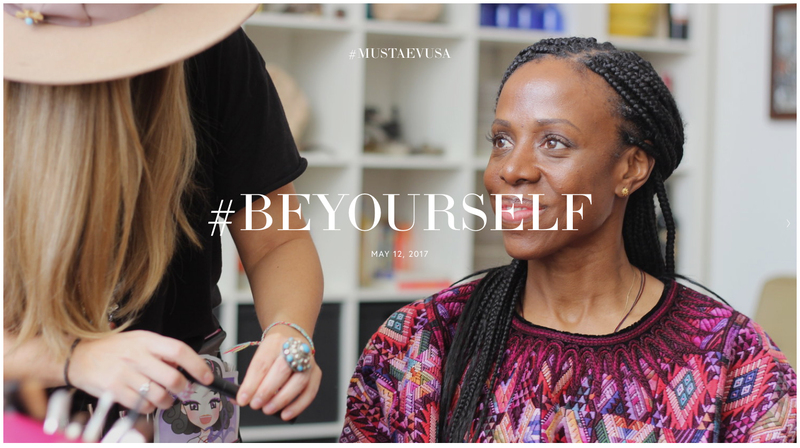 Makeup is not about weighing you down, but lifting you up. 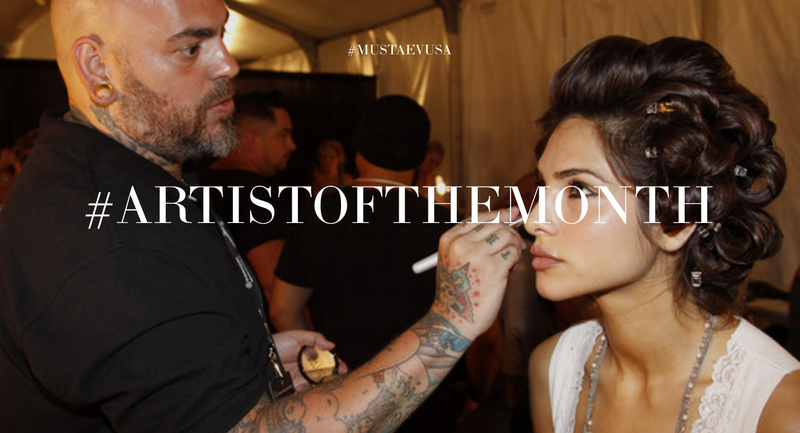 I feel most at ease with the way I look when I spend less time perfecting it. 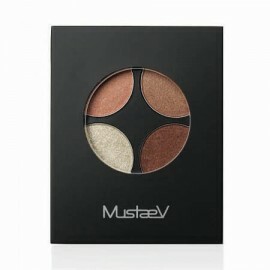 A four-colored palette containing the perfect golden tones. 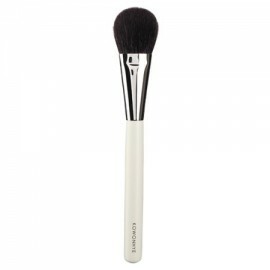 The pearl and silky texture creates a natural but stylish look, and the combined colors serves as a way to contour the eyelids. 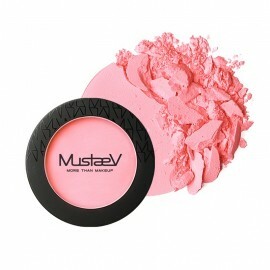 A blush brush that is precisely shaped for applying color to the cheeks. 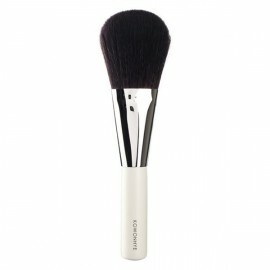 The Kowonhye Blush Brush features a hair bundle made with soft, premium quality natural hair perfect for applying powder products. 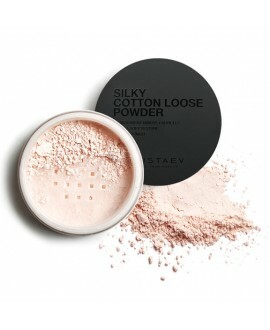 It provides a luxurious feel, excellent powder pick-up power and color payoff for an effortless application.